Rate this Article Epic Games surprisingly brought Fortnite Battle Royale into the iOS and made it cross-platform. It’s hard to imagine how a game this big made its way into a tiny device. How does it compare to the PS4 and PC versions? Unless if you’ve been living under a rock the past few months, Fortnite Battle Royale is one of the hottest games today, and Epic Games brought it to mobile platforms. Downloading the game requires you to sign up for the developer’s Anchor Text invite event. A code will be sent to your email which you will then redeem in the Apple App Store. After which, you’ll download the full game and start playing. Epic Games has always an advocate for cross-platform play. Today, mobile, PC, and console players can match up against each other, although PlayStation 4 and Xbox players can’t due to Sony being reluctant to be best buds with Windows. That aside, can Fortnite players on a mobile phone are at a significant disadvantage when paired up with others from another platform which should not come as a surprise. Why? Well, playing shooting games on a touch screen is less than ideal, and Fortnite’s craziness and fast-paced gameplay would be too much to handle. You won’t have the same amount of freedom that you do when playing using a mouse and keyboard or a controller. If you’re in a pitched battle with a skilled PC player, it’ll be a no-contest: before you could even take aim, he would have already planted a couple of shotgun shells on your face. The glaring disadvantage is the reason why cross-platform is optional. Basically, you can only match up with teams who have with members playing in other platforms. If you don’t want to play with players in another platform, you can simply just turn it off and enter matches with other mobile users. In any case, the mobile version’s gameplay can be monumentally enhanced if Epic enables controller support. Fortnite is a game that heavily relies on teamwork and cooperation, as long as you’re playing on squads and duos. After all, there’s no way to warn allies of incoming enemies except by yelling on your mic and ask for specific ammunition without voice chat. Unfortunately, the mobile game doesn’t have a standalone voice chat yet. This means you have to either be a silent teammate or persuade your friends to use third-party software like Discord. With all the disadvantages mobile players have, Epic Games added a few features that would give them a competitive edge. In PC and console, player movement, chests, and gunfire have no visual cues. In mobile, they are marked by a hybrid of an arrow or an arc. These will let you know where your opponents are shooting from and where the chests are. Mobile players will also find themselves heavily reliant on the game’s aim assist. Portability is also major plus: you can bring game anywhere. Just be sure that your internet connection is strong enough. If you’re wondering whether you’ll be getting the full game or a watered-down version, don’t fret: it’s the latter. The mobile version provides the entire Fortnite experience. It has all of the console and PC’s weapons, the same map, and they receive the same updates. The user interface is different though, since it has been tweaked to show the touchscreen controls and make it easier for you to manage your resources. Building on mobile will be a little slower, but it is manageable thanks to the UI and controls’ intuitiveness. Switching between pieces and editing is a slow yet doable process, but it’s not recommended when you’re in a race against time. Regardless, the entire options are there and you can build massive forts, though it takes more time to do so. Currently, only iOS devices are compatible, but we’re sure that an Android port will be dropping from the battle bus any time soon. You need to have iOS 11, and the list of devices able to run it include: iPhone 6S/SE, iPad Mini 4, iPad Air 2, iPad 2017, iPad Pro and later devices (iPhone 7, iPhone X, etc). It’s important to note newer devices will run the game better than older ones, and those with bigger screens provide a better visual experience. It only takes up a measly 2GB memory, so unless if you take selfies every hour, Fortnite deserves a spot on your device. Overall, even if Fortnite Battle Royale on mobile is a tad more challenging than playing on a console and PC, it still provides the same wacky and fun experience. The gameplay is a tad slower, and the controls are quite hard to get used to. 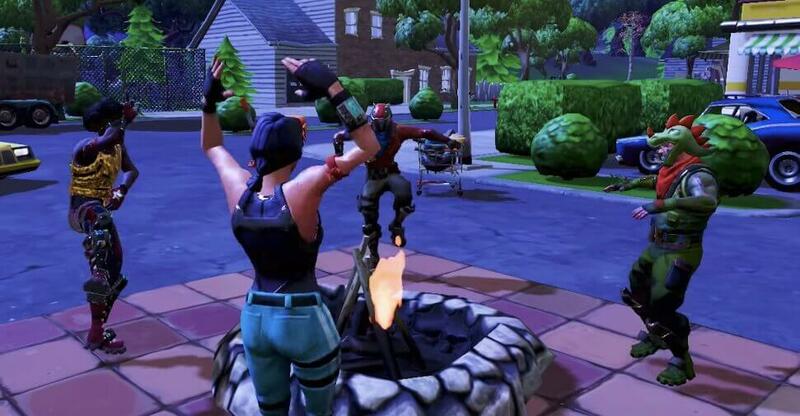 Regardless, you will get into the groove after a few games, and you may even up dancing your way to a victory royale: just don’t end up playing against console and PC players!